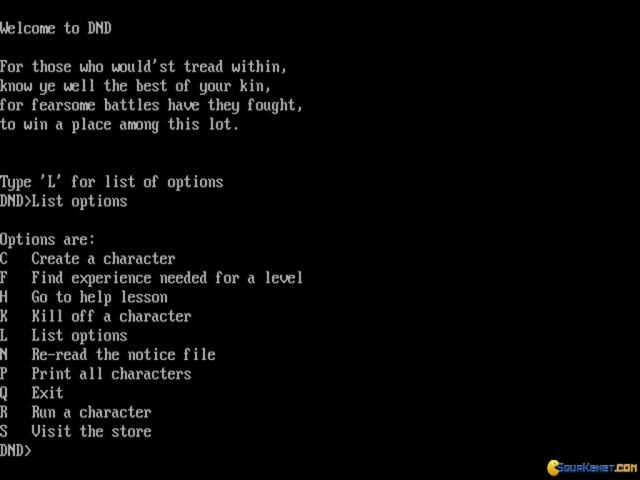 DND might not strike you as some name worth of remembrance in gaming. 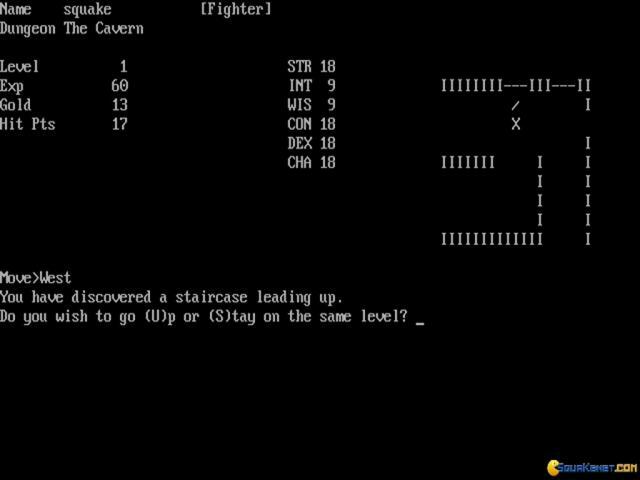 That's not a failure of the title, it is mainly the fact that it was released in the time when mainframe computers, huge computers that were interfaced to terminals that were little more than a typewriter and (sometimes) a screen. We're talking the deep end of the 70s, and given the bulkiness of these PCs, they were pretty hard to access. 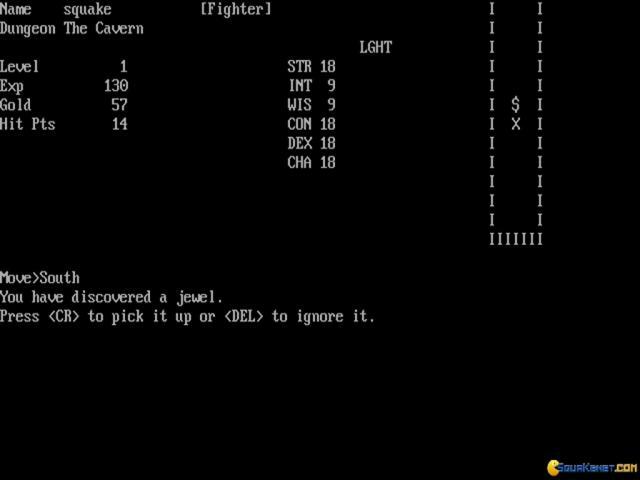 And games were definitely what they were meant for, but instead they were more of a hack, and the fewer people know about these, the better the chance of these games remaining in the very small magnetic tape memory of these early mastodon type computers! 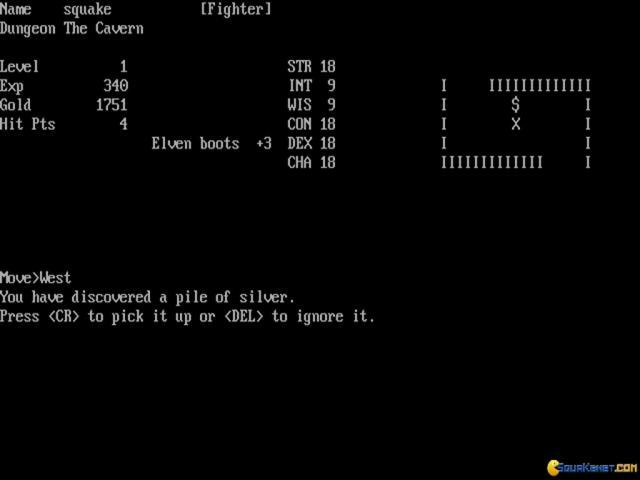 At any rate, this DOS version is a text based heavy Dungeons and Dragons styled RPG, as the original, made easier to play and more direct through the use of text on screen and not only on print-outs, as was the case for some versions of it. 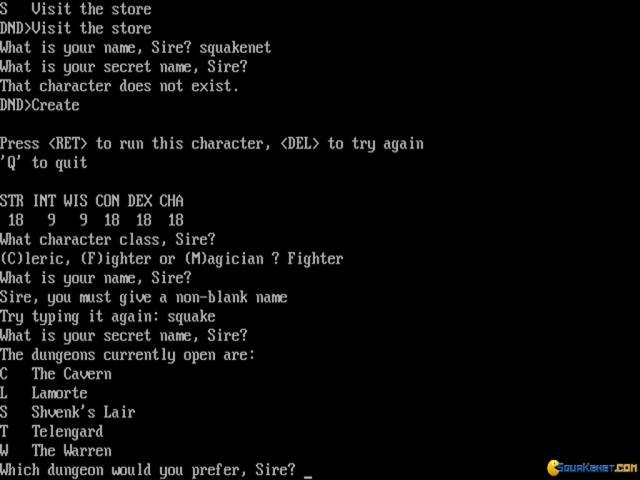 Thus, you played against the PC, in true Dungeons fashion, with in the same rule set of the pen and paper. The included campaign is alright, very vanilla, not to say unoriginal. 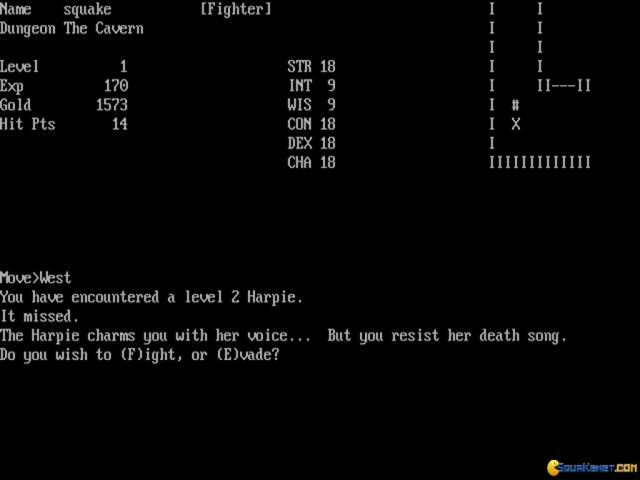 Download Dungeon Quest too for a blast from the very same past, though in this one, hear ye, hear ye, you've got on screen maps! Rejoice is upon ye!